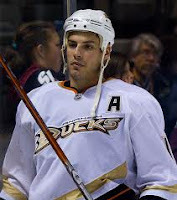 Anaheim Ducks forward Ryan Getzlaf suffered multiple nasal and sinus fractures when he took a puck to the forehead during a win over Phoenix on December 28, 2010. He visited a maxillofacial surgeon and had a CT scan which revealed those fractures were non-displaced and stable. A further evaluation determined that the bone breaks remained stable and that surgery was not be required. This case illustrates that most facial fractures do NOT require surgical repair. - Cosmetic deformity due to facial fracture (bruising and swelling does not count). - Change in your ability to breath. Read more about Ryan Getzlaf's injuries here.